Today I am pleased to announce that we have a guest blogger. His name is Joshua London and he is offering up a new perspective regarding The West Dunbartonshire Council’s boycott on Israel and the counter-boycott on Scotch Whisky. Joshua’s bio is listed at the end of this post. The purpose of the Jewish Single Malt Whisky Society’s posting of this piece is not to present our specific stance on the subject. Rather, it is to offer a perspective that is not being discussed along with the revelation of details that many people who are participating in the counter-boycott may not be aware of. Pro-Israel activism or just foutering aboot? As a writer, a proud, observant Jew, and a local whisky aficionado, a polite phrase for pedant alcoholic, my email has been unusually bombarded over a very silly story from Scotland. Weaved into each of these emailed “reports” of the Scottish menace is a rallying cry amongst some of the boozier set in the American Jewish community for a boycott or, rather, a “counter” boycott of Scotch whisky. Or, at least, a counter boycott of Scotch whisky produced in West Dunbartonshire, Scotland. The hubbub is this. A little local government body in Scotland, the West Dunbartonshire Council (WDC), decided in January 2009 to do its bit to condemn Israel’s Operation Cast Lead by announcing a boycott of Israeli goods, apparently followed more recently by an “order” to area libraries to not purchase any Israeli published books moving forward. Some versions of the story extend this “ban” to Israeli authored books. Another variation of the story claims that the City of Dundee wished to adopt this policy, but instead adopted it only unofficially, with the intent to single out Israeli produced goods with some symbol designating it as Israeli. Another twist has it that this policy of boycotting Israeli produced goods is spreading across Scotland, with another 10 left-wing local councils actively considering the new policy. This story hit the blogosphere hard in late May, has elicited Jewish and non-Jewish official censure, and has now gone viral on the internet with calls for the pro-Israel community to boycott Scotch whisky, or at least Scotch whisky produced under the jurisdiction of the WDC. 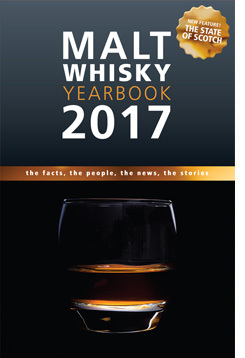 Initially, this was claimed to include a large list of whisky distilleries and brands, almost none which were even physically near the WDC, such as the nearly 200 years old Laphroaig, which is produced on the south coast of the Hebridean Island of Islay and is owned by Beam Global, one of the world’s largest premium spirits companies and the drinks business-end of Fortune Brands, a Deerfield, Illinois based company. The picture isn’t much different as regards the City of Dundee. As the Daily Express notes, “a similar boycott move by Dundee City Council has had to be abandoned because legal experts advised such a move is illegal under EU law.” Dundee City Council represents a population of around 150,000, and is also dogged by high unemployment. It remains to be seen whether or not they will devise a way to codify their own moral posturing. So, what to make of all this? Well, obviously, the WDC’s actions are deplorable, and several of its council members have apparently been strident in their pro-Palestinian and anti-Israel defense of the WDC’s codified moral posturing. Clearly, these folks are not investing in Israel Bonds anytime soon. Be that as it may, the apparent temptation to retaliate against WDC via a boycott of Scotch whisky by the pro-Israel community strikes me as a little dubious under the circumstances. The City of Dundee has zero distilleries that are near enough to fall under its jurisdiction. As for West Dunbartonshire, there are, in fact, only FOUR actual distilleries from which whisky may still be found. One of these, the Loch Lomond Distillery, produces a wide variety of malts and blends but none of these are easy to find in the US, two of the other distilleries within the WDC’s jurisdiction were closed down in the 1990s, although some of their whiskies are still available through independent bottlers: the Inverleven Distillery which was closed down in 1991, and the Littlemill Distillery which closed in 1994, and was subsequently destroyed in 2004 by arson. The fourth distillery within the WDC’s jurisdiction, the Auchentoshan Distillery, presents two additional issues that make a punitive boycott less satisfying to contemplate. First, Auchentoshan is owned and operated by Morrison Bowmore Distillers Ltd, a holding company in Glasgow that is actually owned by Japanese drinks company Suntory. So boycotting this distillery does little to punish WDC. Further – and I find this particularly noteworthy – Morrison Bowmore has been working with the Kashruth Authority of the London Beth Din (KLBD) to ensure that at least two of their Auchentoshan whiskies (the widely available “Classic” and the Duty Free exclusive “Select” expressions) are now certified kosher (Morrison Bowmore’s McClelland’s brand has another two whiskies under KLBD certification). This strikes me as another good reason not to punish these folks, a private company, for the unfortunate decisions of the local government council where their 188 year old distillery happens to reside. It is also worth mentioning one other Scotch whisky company in this context. Many of those who wish to “punish” the WDC through some counter-boycott have rather strangely focused some of their animus on Chivas Brothers under the mistaken notion that many of its whisky brands are produced in that area. This is also very silly. Chivas Brothers is owned by Pernod Ricard, a French based drinks company with a global reach and presence. Chivas Brothers has a bottling plant in Kilmalid, Dunbarton that employs 350 people. They do not produce so much as a drop of any of their whisky there, merely bottle some of it. Chivas’ most famous brands, such as The Glenlivet and Chivas Regal, are not even bottled there but in another bottling plant in Paisley, Renfrewshire (outside of the WDC’s jurisdiction). A little due diligence by the “organizers” of this counter boycott would not have gone amiss. Even if this campaign had, from the get-go, correctly identified which companies and which brands had the misfortune to be commercially tied to the jurisdiction of the WDC, and had been more careful in stating the facts, such as which of these private companies’ brands were and were not actually produced in this area, the effort would still be lacking in perspective. Second, assuming such a punitive counter-boycott could somehow be made effective and actually caused sales figures to dip noticeably for Morrison Bowmore or Chivas Brothers, how exactly would that help anything? Let’s assume, for a moment, that Chivas Brothers does indeed note a larger dip in sales in this already downturn economy. Discounting, for another moment, the global market growth and market trends and, for the sake of simplicity, presuming that it would be obvious to the account managers at every level of the commercial chain that the sluggish sales were due to bad press caused by this Jewish campaign, explain what happens next? Internal memos signaling distress cause the global Pernod Ricard parent company to suddenly get local and political and demand that the WDC reverse its January 2009 motion. Then what? The Left-wing, anti-capitalist WDC feels Pernod Ricard’s pain, eats humble pie, and gives-in to exactly the sort of “disproportionate” bullying tactics it accuses Israel of engaging in against the Palestinians by reversing its 2009 “ban” on Israeli produced goods. Really? As you contemplate what to make of all this silliness, I suggest doing so over a large glass of the lovely Auchentoshan 18 year old ($90) single malt Scotch whisky. Aged exclusively in used Bourbon casks, this triple distilled whisky is light and refreshing, aperitif like, with aromas and flavors of fresh fruits, raisins, flowers, honey, almonds, vanilla, and a kiss of candied ginger, all against a deep and full backdrop of toasted malt and oak. Then a lovely, refreshing zesty citrus quality emerges and shines through in the finish. L’Chaim! Joshua E. London’s writings on wine and spirits may be followed at: www.joshuaelondon.com. Joshua E. London has been drinking, writing and talking professionally about Scotch whisky and other wines and spirits for well over a decade. Currently, London is a weekly columnist on wines and spirits for the Washington Jewish Week and the spirits lecturer for TasteDC. 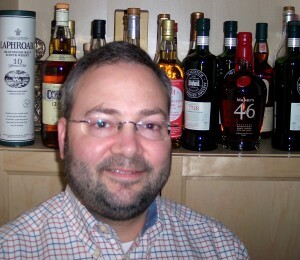 He has conducted dozens of wine and whisky tastings, and has taught classes on kosher wines and the kashrus issues of Scotch whisky and other spirits. 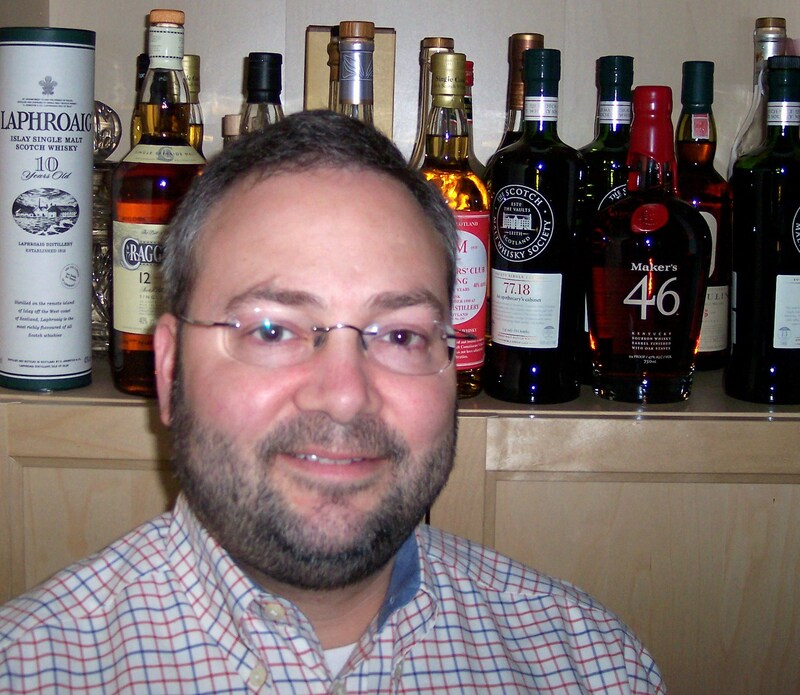 His writing on wines and spirits has appeared in such publications as Malt Advocate, The Washington Examiner, The Jewish Press, LA Jewish Journal, and The Jewish Week. Unrelated to booze, London is also the author of “Victory in Tripoli: How America’s War with the Barbary Pirates Established the U.S. Navy and Shaped a Nation” (John Wiley & Sons, September 2005). Previous PostSpringbank 15yo – A whisky shelf must.Next PostMaster of Malt Bloggers Blends – my tasting notes on the whole she-bang!